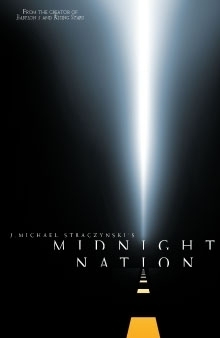 Midnight Nation is a thought-provoking story with religious overtones about a police officer in limbo who goes on a cross-country search for his soul but encounters some mighty obstacles along the way. When it first came out in 2000, J. Michael Straczynski’s provocative storytelling and the fantastic art of Gary Frank (Action Comics, Squadron Supreme) captivated readers with its mix of action, horror and drama built around a message of hope, loyalty and sacrifice. The Midnight Nation Trade collects Midnight Nation #1-#12, the Wizard #½ issue, a spectacular cover gallery and never-before-seen extras including a complete process breakdown of Midnight Nation #5! Get the Midnight Nation Trade today at DriveThruComics.com. Individual issues of Midnight Nation are also available at DriveThruComics.com for $1.99 each.